Welcome to the latest installment of our monthly new music roundup. 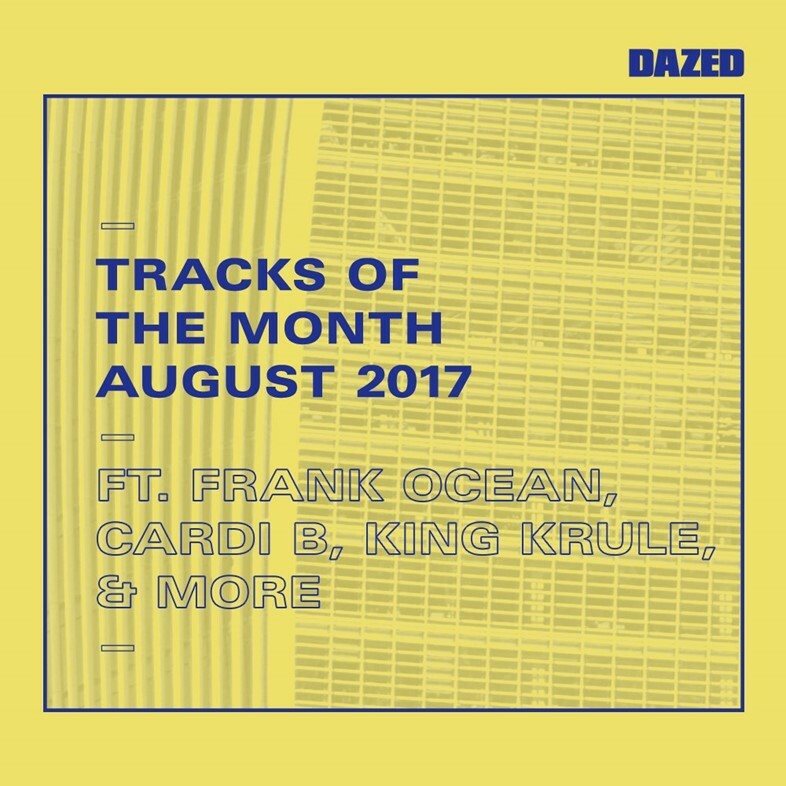 Our new playlist features surprise drops from Frank Ocean, the return of the mighty King Krule, an electro-club banger from LCD Soundsystem’s upcoming American Dream, and a triumphant solo cut from Alice Glass’s debut EP. There are also a few under-the-radar releases, too: London duo The Rhythm Method with “Something For the Weekend”, lush-voiced newcomer Xenoula and her alien “Chief of Tin”, and the baritone synth pop of John Maus’s “The Combine”. Although we’ll be posting these roundups at the end of every month, we’ll actually be updating the playlist regularly for our subscribers – so make sure you follow the playlist on Spotify and Apple Music if you can’t stand to wait.